Mobilane, the market leading developer and supplier of sustainable living systems for interior and exterior use, will be exhibiting two exciting new additions to its product portfolio at the Ecobuild 2015 sustainable design and construction marketplace event at ExCel London. As well as its well-established LivePanel vertical green wall system, Mobilane will be introducing Ecobuild visitors to its new LiveDivider room dividing system, as well as new sizes in the LivePicture range of living picture systems. LiveDivider is an interior room divider which is planted on both sides, offering not only privacy, but a range of health and wellbeing benefits. Consisting of a metal frame on either a fixed or mobile base, LiveDivider features six exchangeable plant cassettes on either side to deliver an attractive and useful room divider that also reduces ambient noise, as well as reducing levels of carbon monoxide and pollutant particles. The choice of plants used is at the discretion of the user. 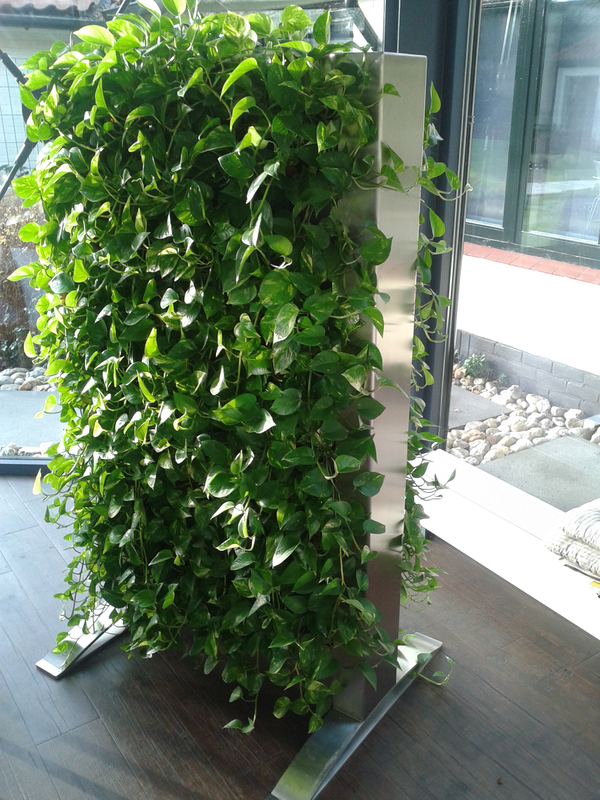 LiveDivider requires no power, and only needs watering every four weeks. Also for interior use, LivePicture is a living picture system that uses plants to create a healthier and more attractive working environment. The health advantages of plants in the workplace are well understood, however, they can take up valuable space. Mobilane has developed LivePicture to deliver these benefits without the loss of floor space. LivePicture also requires no power and the plant cassettes can be changed in moments and need watering only every 6 weeks. “There is a definite move toward increased use of plants in the workplace,” explains Paul Garlick, National Sales Manager for Mobilane. “The health benefits are well known, but as companies look to deliver healthier and more pleasant working environments through the introduction of plants, they have to balance this against the physical practicality of having plants in the busy office environment. “Mobilane is a company that strives to innovate and deliver systems that are both easy to integrate and to manage. Our interior planting systems have been developed to be both functional and hassle-free, and they are certainly eye-catching. Mobilane UK Ltd will be on stand no S3096 at the Ecobuild 2015 event, which takes place 3-5 March at ExCel London.